Island in the Sky as fog enshrouds the city skyline. 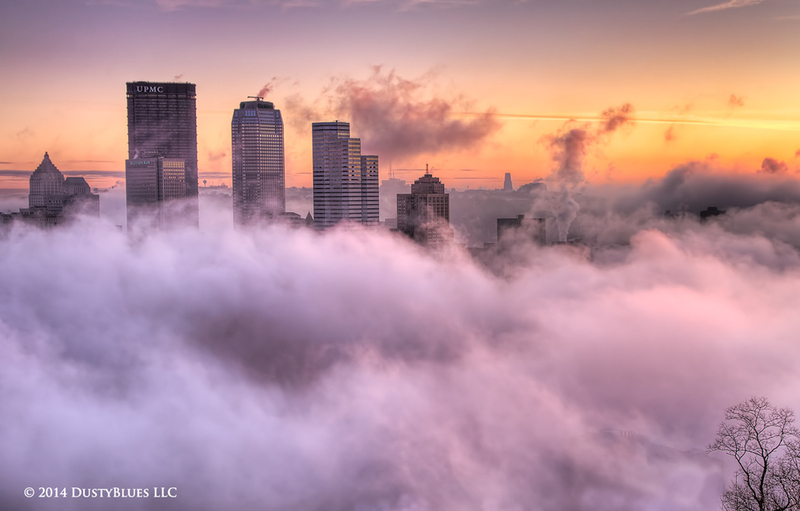 A rare morning as a rising sun glows over clouds of fog that lay over the rivers surrounding the city. I watched as the billowing clouds rose and fell with the new found warmth of the sun. A magical morning as I also had time to produce a panorama of the breadth of the city as well.